Ski season may be just over two months away, but some Vermont ski areas are hoping there is still enough warm weather to wrap up highly anticipated projects. Work continues on the Green Chair at Magic Mountain, as "significant progress is being made." 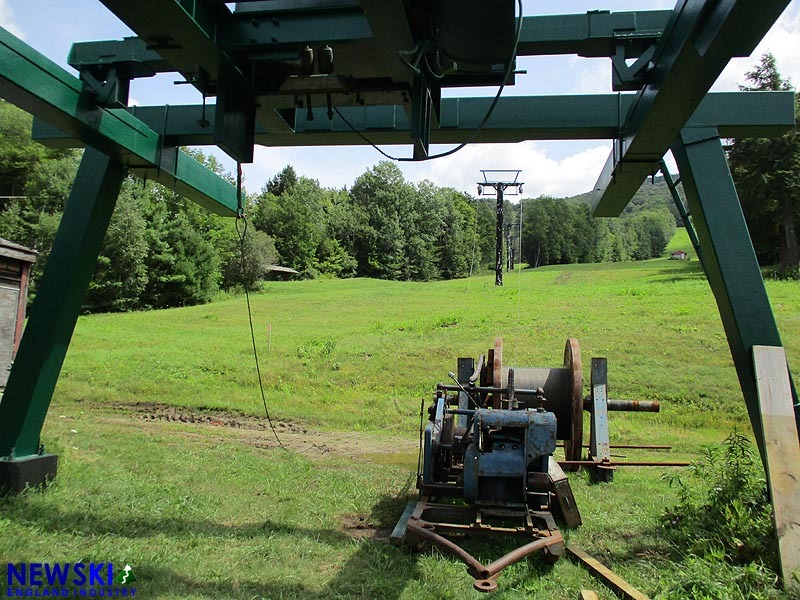 The refurbished Borvig double chairlift will allow Magic to open earlier in the ski season, while also providing novices and intermediates with a less intimidating option. Two highly anticipated projects at Magic are stuck in the Vermont Act 250 bureaucracy, however. As a result, "our timetables have been lengthened and expenses increased with each permitting delay." 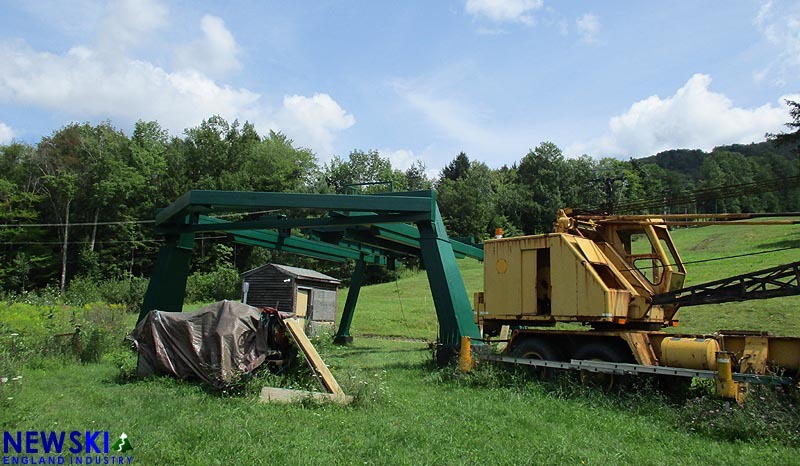 One of the projects, involving improvements to the snowmaking pond, has been sitting in the Act 250 queue since the spring of 2017, with no decision date timeline known. 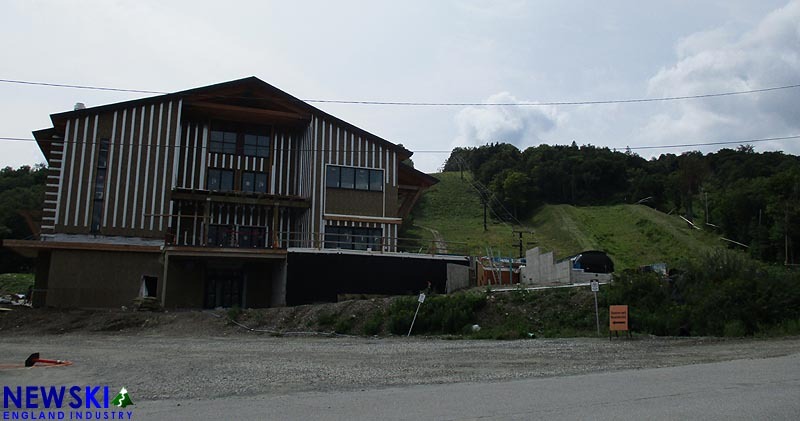 The other project, the replacement of the Black Chair with a refurbished Poma quad chairlift, was filed this year. According to Magic, "The reality is that it increasingly looks like it will be difficult to execute either of these projects fully this fall in time for the new season if approvals slip further into September." Meanwhile, site work is now in progress down the road at Stratton, as a fixed grip chairlift is set to be replaced with a Doppelmayr high speed quad. The Vermont Act 250 permit was finally issued on August 1. 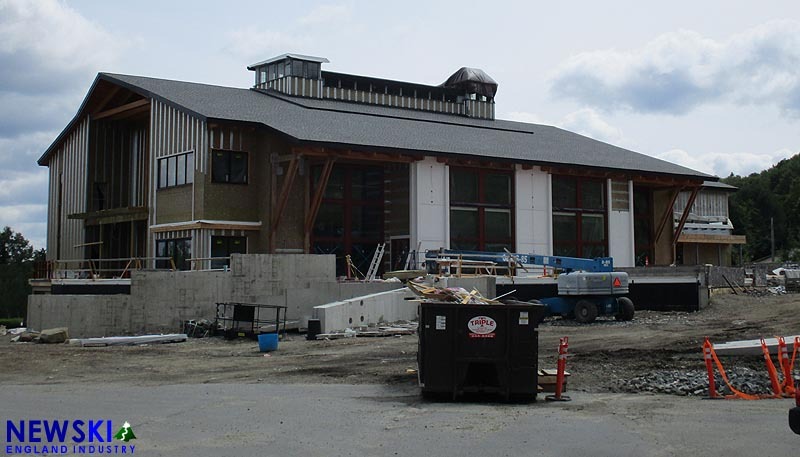 The former Carinthia base lodge has been demolished and the new Carinthia lodge is taking shape at Mount Snow. Funded by EB-5 immigrant investors, the $22 million, 38,000 square-foot facility is expected to be ready for the winter season. 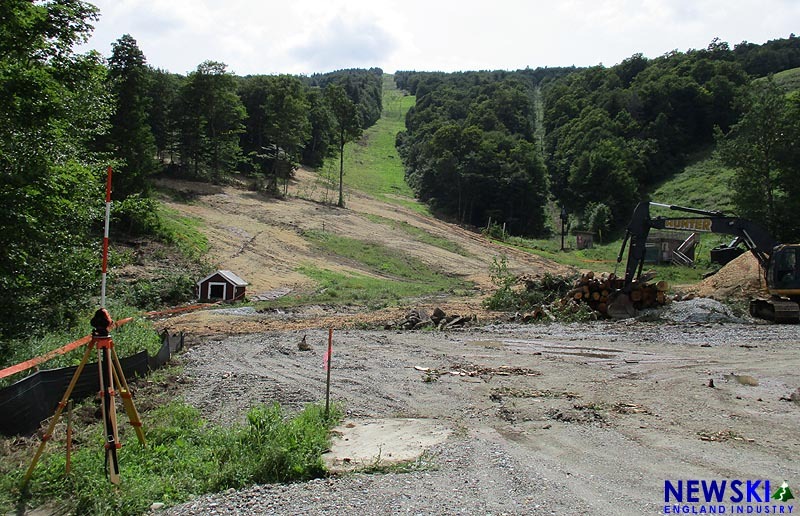 Construction is ramping up at Killington, as the Bicknell's Thrush protection period has passed. 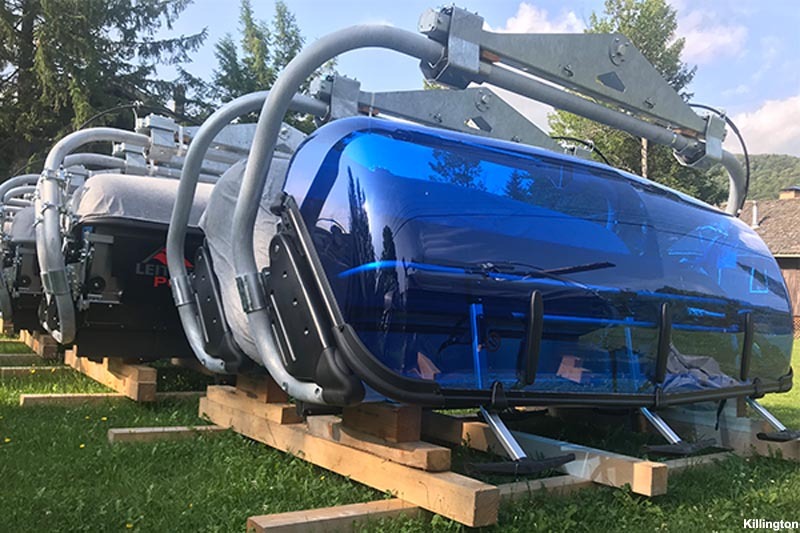 Blue six person bubbles have arrived for the new Snowdon lift, as construction is underway for the new Poma chairlift, the refurbished South Ridge quad, and the relocated Ram's Head racing Poma. 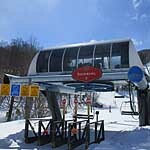 Gondola renovations are expected to start in September.